One of Japan's most iconic cars is making a comeback. A descendant of the game-changing 240Z that debuted in 1969, an all-new Z car (code-named Z35) will honor the legendary Datsun with a stylized 21st-century interpretation of the original's long nose, short deck, and perfect proportions. That first Z was designed to appeal to buyers in its main market of the United States, and the new model will be no different. Just get a load of one artist's vision of the dynamic silhouette. While the car will feature a low-slung, swooping body, it will be downsized from the current 370Z to dimensions that resemble the original's. That means the car will lose around 2 inches in width from the current 72.6 inches. Our insider mentions that lightweight high-tensile steel will be used to further reduce the car's curb weight by up to 420 pounds to a class-leading 2866 pounds. According to a source close to Nissan, the Z35 will be powered by a choice of V-6 and four-cylinder engines at first. Company bosses want to phase out the V-6, though a small but strong fan base might lead engineers to retain it. Nissan feels that it has to "wean" the motoring public off the six cylinder, which has been its mainstay powerplant since the very beginning, and switch to a more fuel-efficient four. We are told that the new four-cylinder will be a 2.5-liter turbo unit and incorporate direct injection to make at least 330 hp. But our insider explains that Nissan bosses are concerned about fuel economy and CO2 emissions, a fact that will almost certainly force them to reduce power to around 280 hp. 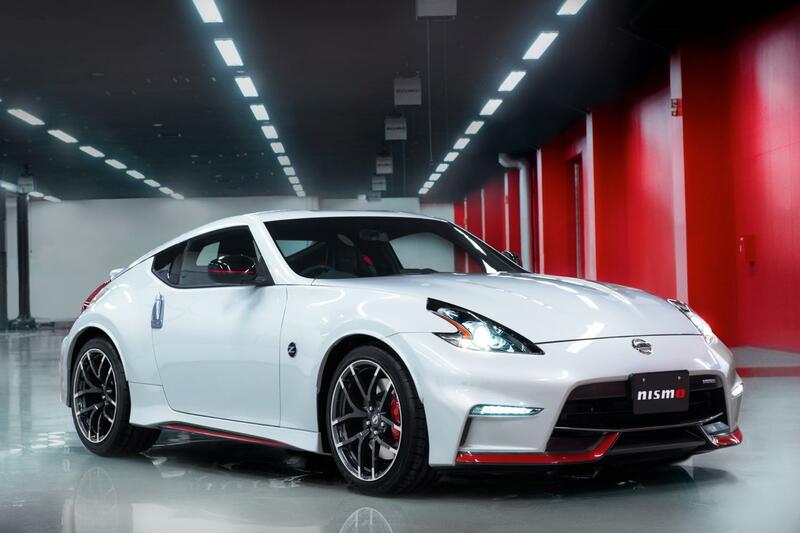 For a gutsier Z, we can look to the company's in-house tuning arm Nismo, which is rumored to be working on a 330-plus-hp model. The Z33 of 2002 was a big hit and its low-$30,000s price tag helped it drive out showroom doors. With the Z34, Nissan created a good-looking, sharp-handling coupe, but by Nissan targeting rivals in the BMW Z4, Porsche Cayman, and Audi TT, the price went into the low $40,000s and hurt sales. The new Z35 must pick up where the Z33 left off and reinvent the Z car all over again. That means downsizing while creating a compelling design and minimizing its sticker price. And employing four-cylinder turbos will do the brand no harm in lowering prices, CO2, and fuel consumption. We can expect to see the Z concept unveiled at the Detroit auto show in January. The final production version should debut one year later at the same show with a price tag starting under $30,000.